Bristol and Doncaster will meet for a place in the Premiership after both sides came through their respective Championship play-off semi-finals. Bristol ran in six tries in a 45-19 win against Bedford at Ashton Gate to win 90-35 on aggregate over two legs. Andy Robinson's side will hope to go one better in a third final in a row. 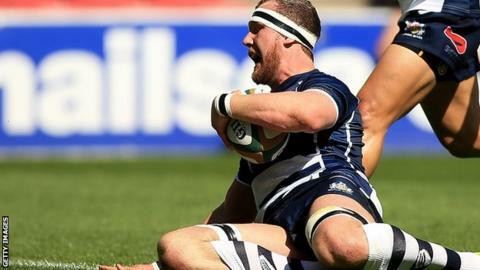 They will face Doncaster, who despite losing the second leg of their tie with Yorkshire Carnegie 17-14 at Castle Park, won 44-34 on aggregate. Cross-code legend Kevin Sinfield made his final appearance at fly-half for Yorkshire after announcing his retirement last month. Bristol and Doncaster will meet in a two-legged play-off final, starting on Wednesday, 18 May at Castle Park, with the return leg seven days later.